I always loved shots of Tulip fields in Europe. So much color and symmetry in the shots I admired. 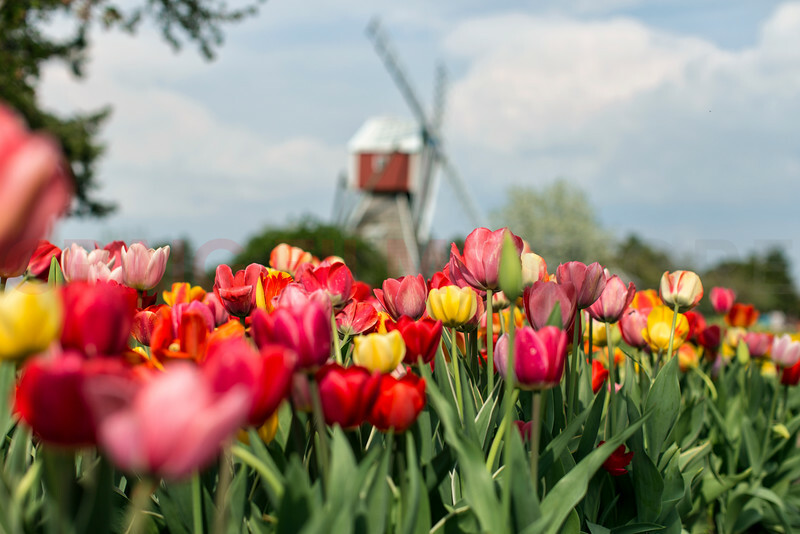 In Holland, Michigan at the beginning of May the small town holds their annual Tulip Time festival. For the first time after 30+ years of living in Michigan I traveled to see the Tulips. The dutch heritage is prominent in this part of the state and very apparent during the festival. The whole town and surrounding communities take part in the festival, ushering in the growing season with parades, dances and more. In the Veldheer Tulips Gardens "where the flowers bloom and the Buffalo roam" they plant over 5 million tulips for your enjoyment.